Amazing bargains and sales through out town. There is no rain date. 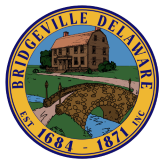 Bridgeville Christmas Parade- December 17, 2016, 4:30 p.m.